A male bicyclist was struck and killed by a large truck in the 12000 block of Ventura Place in Studio City Tuesday, April 5, 2016. 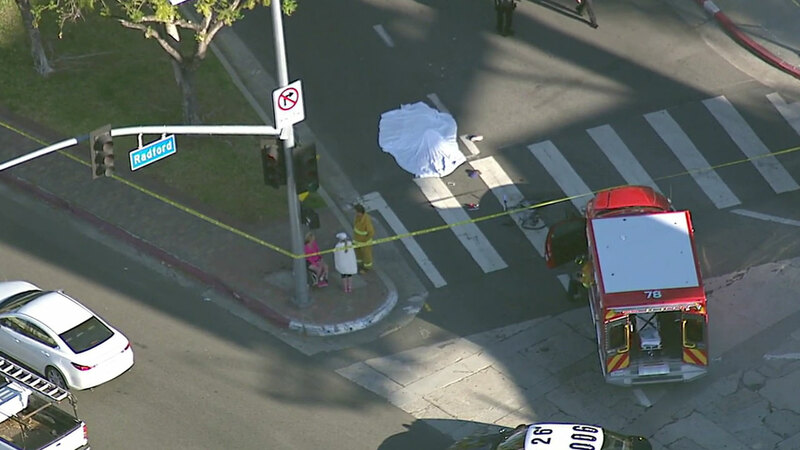 STUDIO CITY, LOS ANGELES (KABC) -- A man was struck and killed by a large truck while riding his bicycle in Studio City early Tuesday, Los Angeles fire officials said. The collision occurred in the 12000 block of Ventura Place around 7:45 a.m. The victim was pronounced dead at the scene. His name has not been released pending notification of next of kin.